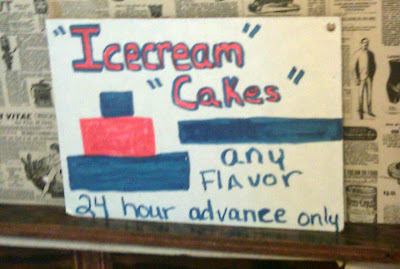 The “Blog” of “Unnecessary” Quotation Marks: what, like sorbet pies? This sounds "delicious." Looks like a popsicle loaf is coming your way. Thanks, Gregory. Somebody knows that "icecream" should be two words.